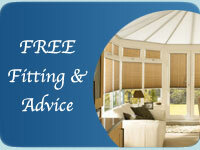 W & P Blinds Ltd can supply and fit pleated blinds for your home. 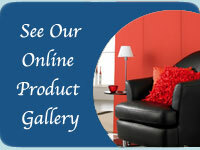 Not just for conservatories! 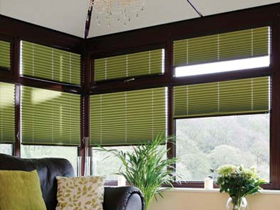 Pleated blinds can compliment and bring a cosy feel to any home. Solar reflective backings are available in our range of over 160 fabrics. 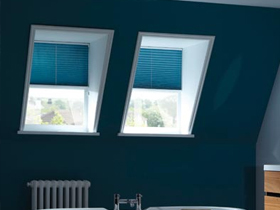 Pleated blinds are both contemporary and modern and can reflect heat and light from the sun to keep your room cool in summer, retaining heat in the colder months. Sheer pleated blinds are a fantastic modern alternative to net curtains and can be combined with a light pair of curtains to complete the dressing of the window, while providing privacy. As our pleated blinds are all made to measure just for you, unusually shaped windows are not a problem.